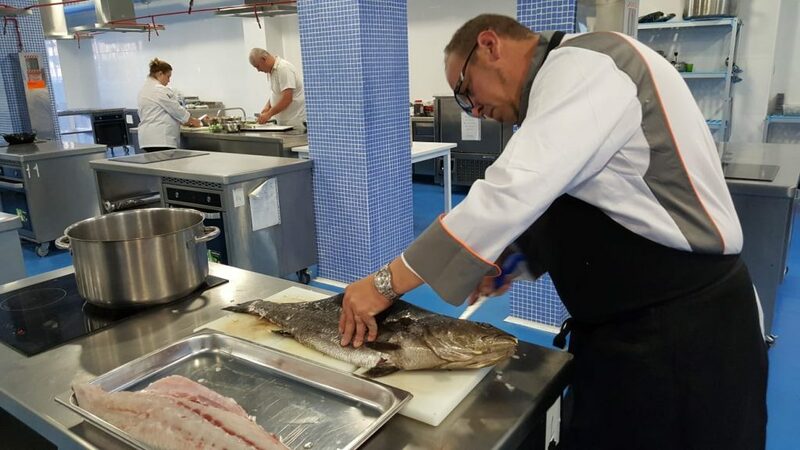 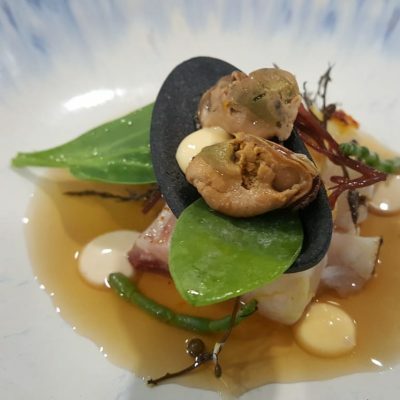 Centro Superior de Hostelería del Mediterráneo (CSHM) has been the meeting point for an international representation of catering and gastronomy professionals who have gathered in Valencia. 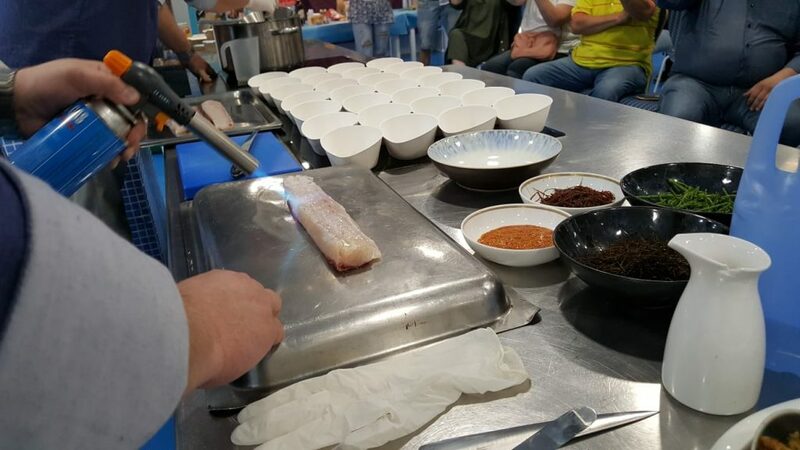 During several days, under the name cooking@sea, some thirty experts from different European countries have pondered about the skills required by the current tourist-gastronomic industry as well as about the importance of raw materials. 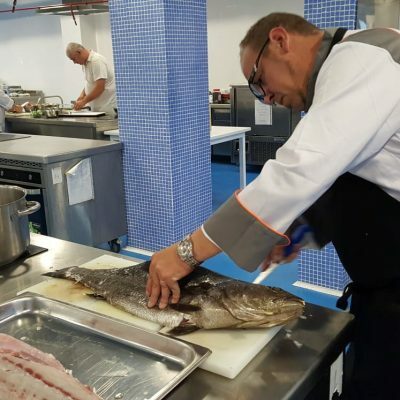 Seafood products, such as Corvina REX Frescamar, and other ingredients involved in its preparation, such as olive oil or saffron, have passed through the center’s classrooms. 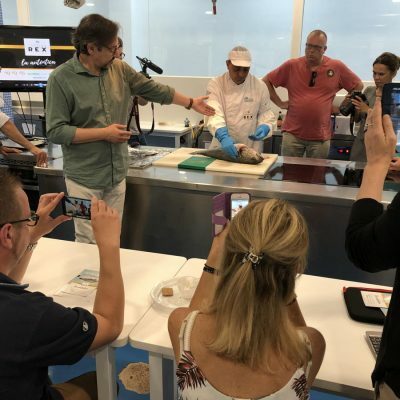 Chefs and teachers have traveled from Holland, France, Estonia and Portugal to share experiences, together with their Spanish colleagues, and induce them to the new generations. 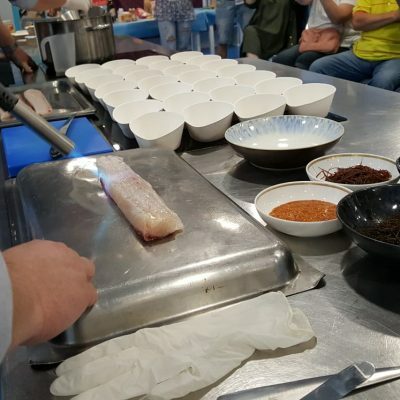 Faced with a changing labor market, stove masters wanted to illustrate to the students of the CSHM about the capabilities that will be required in the development of their profession. 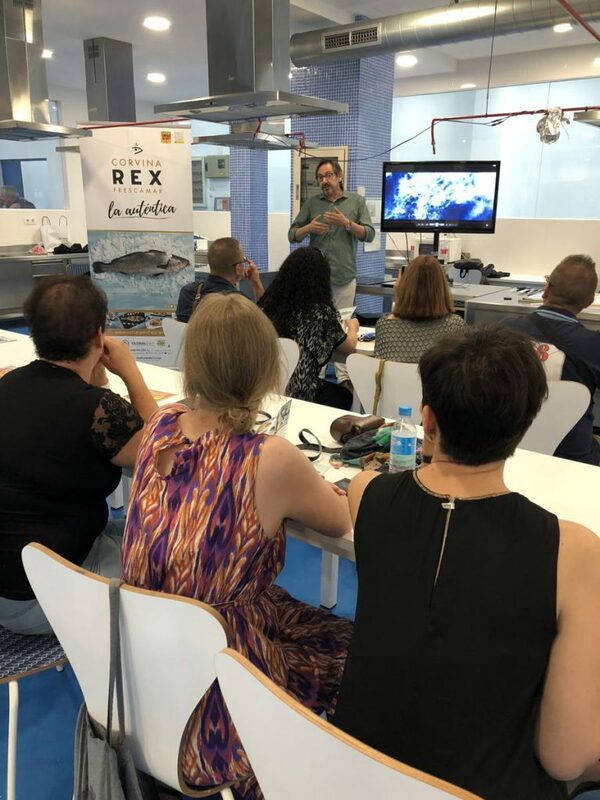 During their stay, they have enjoyed typical dishes of the Valencian gastronomy -such as paella- but the product that has focused the practical aspect of this meeting has been Corvina REX Frescamar. 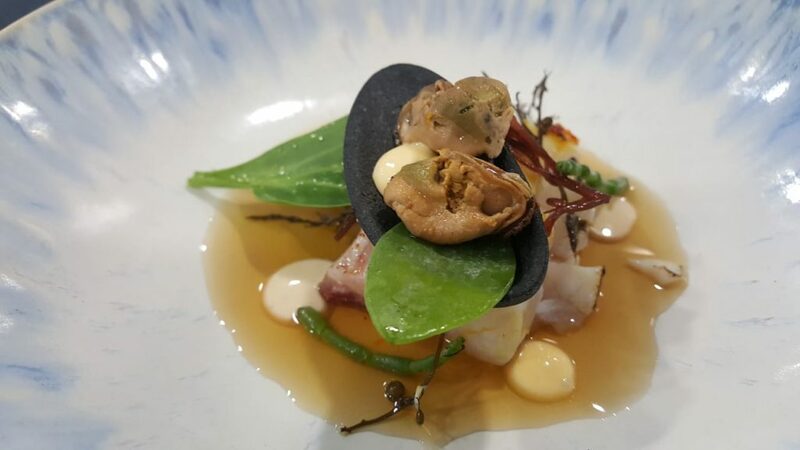 In addition to experimenting with the product and preparing delicious recipes with the most advanced culinary techniques, teachers and students have been able to learn more about this traditional Mediterranean species. 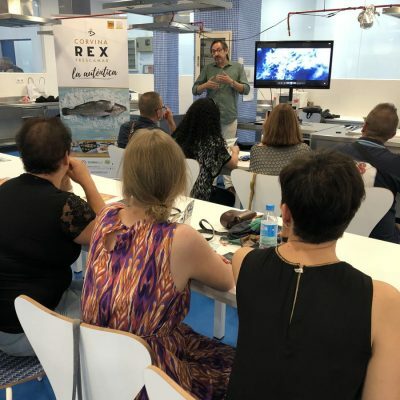 So, this time teachers took a seat to receive a masterclass on the excellence of the corvina strengthened in the REX brand. 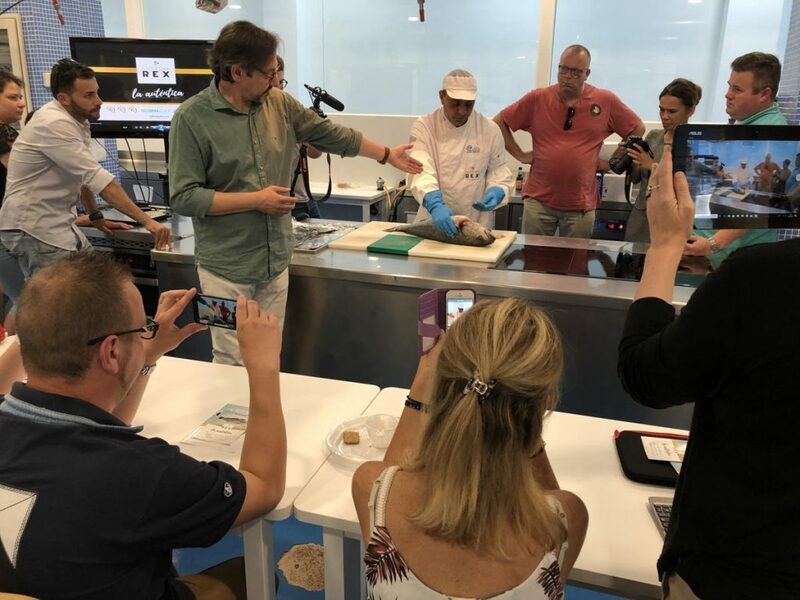 Theoretical concepts and a practical cutting demonstration of which good notes and a large number of photographs were taken.